SAN ANTONIO (CNS) — Father Virgilio Elizondo, a nationally known professor of pastoral and Hispanic theology at the University of Notre Dame and founder of what is today the Mexican American Catholic College in San Antonio, was found dead in his home the afternoon of March 14. He was 80. The Bexar County Medical Examiner’s Office verified his death late that night. By the end of the day March 15, the county medical examiner had ruled his death a suicide, confirming that the priest had died from a self-inflicted gunshot wound. Father Elizondo was widely recognized as “the father of U.S. Latino religious thought.” He pursued scholarly work in Latino theology, evangelization, faith and spirituality, and culture, was the author of many books. He was rector of San Fernando Cathedral in San Antonio in the late 1980s and early 1990s. “I join the priests of the Archdiocese of San Antonio as we are deeply saddened and stunned by the news of the death of Father Virgilio Elizondo on March 14. This is an occasion for great sorrow, as his death was sudden and unexpected,” San Antonio Archbishop Gustavo Garcia-Siller said in a statement released by the archdiocese. A memorial service for Father Elizondo will be held March 19 at St. Rose of Lima Church in San Antonio, where Father Elizondo had served as parochial vicar for many years. Archbishop Garcia-Siller will be the main celebrant of the bilingual liturgy with priests of the archdiocese as concelebrants. The homilist will be Father David Garcia, who is director of the Old Spanish Missions of the San Antonio Archdiocese and a longtime friend of Father Elizondo. A private internment service for family members will take place at a later date. In May 2015, Father Elizondo was named secondarily in a lawsuit filed by a John Doe in Bexar County District Court in San Antonio. The suit also named former priest Jesus Armando Dominguez and the San Antonio Archdiocese. The suit alleged that as a boy, John Doe was sexually abused from 1980 to 1983 while he was living in an orphanage and was being mentored by Dominguez, then a student at Assumption Seminary in San Antonio. John Doe claimed that when he went to report the abuse to Father Elizondo, the priest kissed and fondled him. Father Elizondo vigorously denied the charges in a public statement and in conversations with friends, and said he was prepared to fight the allegation legally. Dominguez, who was later ordained in San Bernardino Diocese in California, disappeared in 2005 amid criminal charges of sexually molesting a number of boys. He reportedly fled to Mexico and was never arrested. According to a lawyer familiar with the Dominguez, case, Father Elizondo was scheduled to soon undergo a deposition, a process that would have been completed in the next 30 to 60 days. A native of San Antonio and the son of Mexican immigrants, Father Elizondo was ordained a priest for the Archdiocese of San Antonio in 1963. As a young priest, he worked in parishes, but in 1965, Archbishop Robert E. Lucey, then head of the archdiocese, appointed him archdiocesan director of religious education. He was an advocate for underpaid and exploited Mexican-American laborers in the Archdiocese of San Antonio during the early 1970s. Father Elizondo was active in television work and video productions and is considered the foremost interpreter of U.S. Latino religion by the national and international media. As pastor of the San Fernando Cathedral in San Antonio, Father Elizondo presided over a Sunday Spanish Mass that was broadcast to more than 1 million households. In 1972, he was a co-founder with then-Archbishop Patrick Flores of the Mexican American Cultural Center in San Antonio and served as its first president. It was renamed a few years ago as the Mexican American Catholic College. 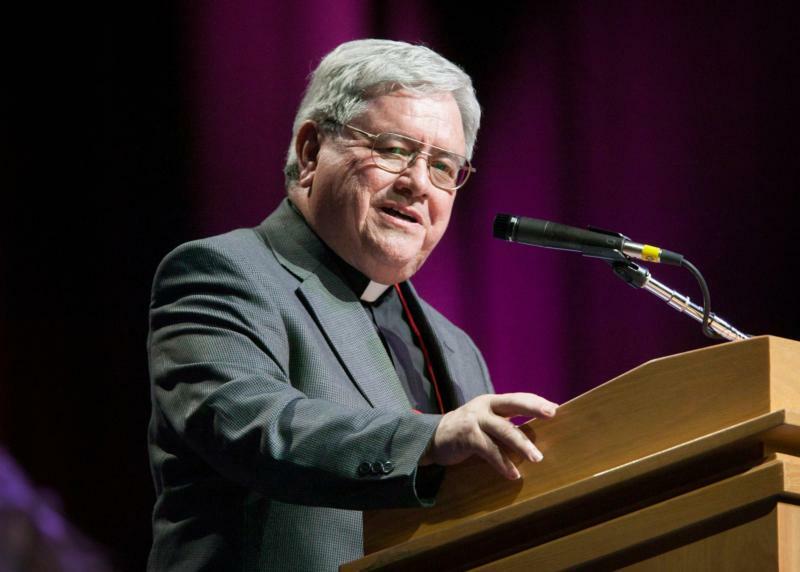 In a March 14 post on his blog, Bishop Robert N. Lynch of St. Petersburg, Florida, recalled his long friendship with Father Elizondo and expressed shock at his suicide. He said the two did not see each other often in recent years, but he knew Father Elizondo was “immensely happy” at Notre Dame but was aware he “flew home to San Antonio almost every weekend on Friday … to be with his people,” returning to campus on Sunday. He called Father Elizondo taking his own life “an unspeakable tragedy.” “Many, many victims have done the same in recent years, each a horrific tragedy and so have many perpetrators as well. I trust in the mercy of God to help each and every one and will leave it to God to judge,” he added. According to a post about Father Elizondo titled “In Memoriam” on the Notre Dame website, the priest was hailed in Time magazine as one of the leading spiritual innovators in the United States.